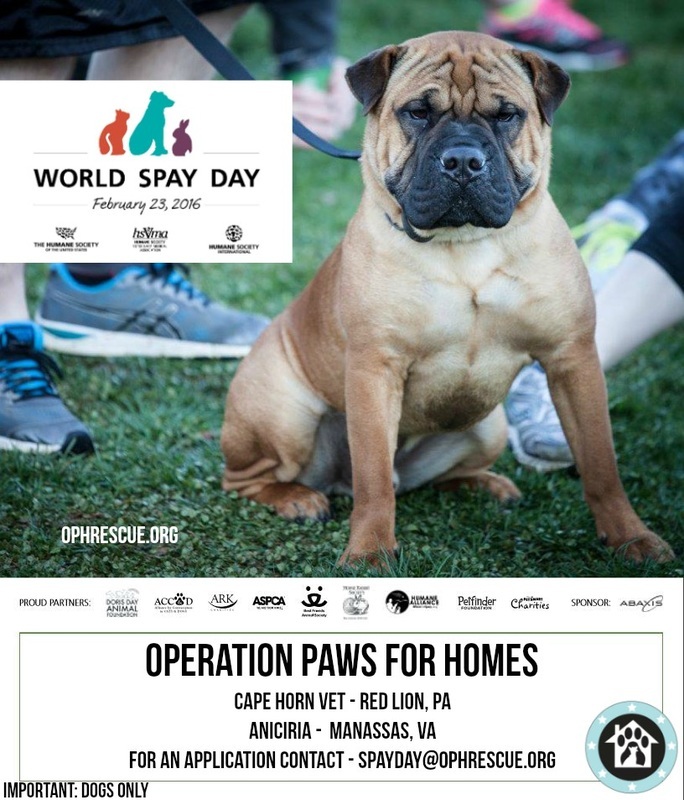 Cape Horn Veterinary Associates is proud to participate in World Spay Day in partnership with Operation Paws for Homes on Tuesday, February 23rd. World Spay Day is an annual campaign of the Humane Society to "shine a spotlight on the power of affordable, accessible spay/neuter to save the lives of companion animals, community (feral and stray) cats, and street dogs who might otherwise be put down in shelters or killed on the street." With the help of Operation Paws for Homes, Cape Horn Vet will be able to spay/neuter qualified* pets of owners who may not be able to afford the service otherwise. For an application, please contact spayday@ophrescue.org. * Space is limited, and the CHVA/OPH program is limited to dogs only. Low-income qualifications must be met. Owners must contact spayday@ophrescue.org to apply for the program. Please do not contact Cape Horn Vet. All dogs must have a current rabies vaccination. If you do not have proof of vaccination, you will be required to pay for the vaccine when you drop off your pet. Other vaccines and services will be available at discounted rates on the day of your pet's procedure as well.